Ok I’m going to geek out for a moment and share a new fav of mine. 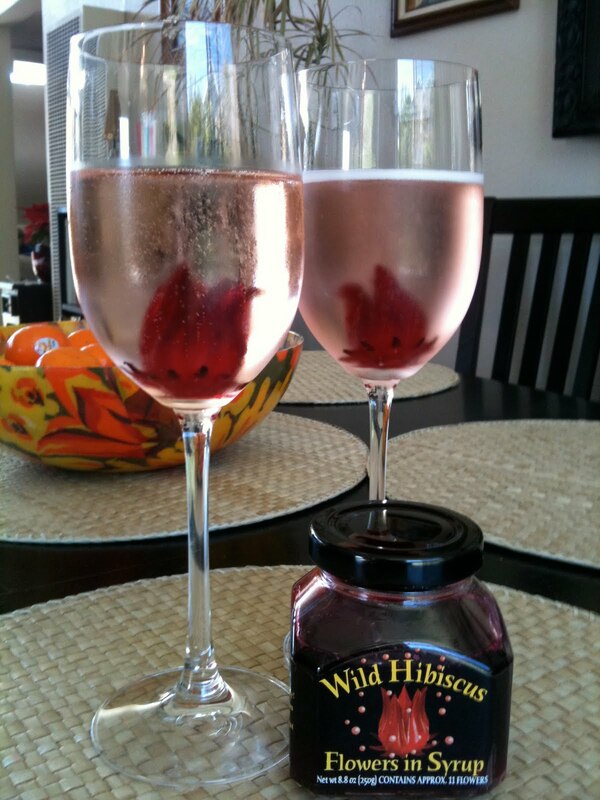 Hibiscus Flowers in champagne. Pretty, Yummy and Tasty. Eat the flower when you’re done with the champagne, it taste like fruit roll ups. Prosseco works just fine if you don’t have champagne.You can get the flowers at Bev Mo or Whole Paycheck aka Whole Foods. >Sarah….this is cool….even though I try to avoid Bev Mo in favor of paycheck….I might have to make an exception….I know you make awesome Mimosas too! >That does it… I'm coming over for brunch! >These are absolutely beautiful. What a great way to spice up an evening of great food and friends. >Hey for an added touch. Add fresh raspberries or black berries for an even more exotic and colorful look. You could call them Tootie Frutti's. Ha..